The uber-fashionable clothes of Heather Carlos and Uintah Collection now have a dedicated local home, and you know we love a good bit of design in this city. 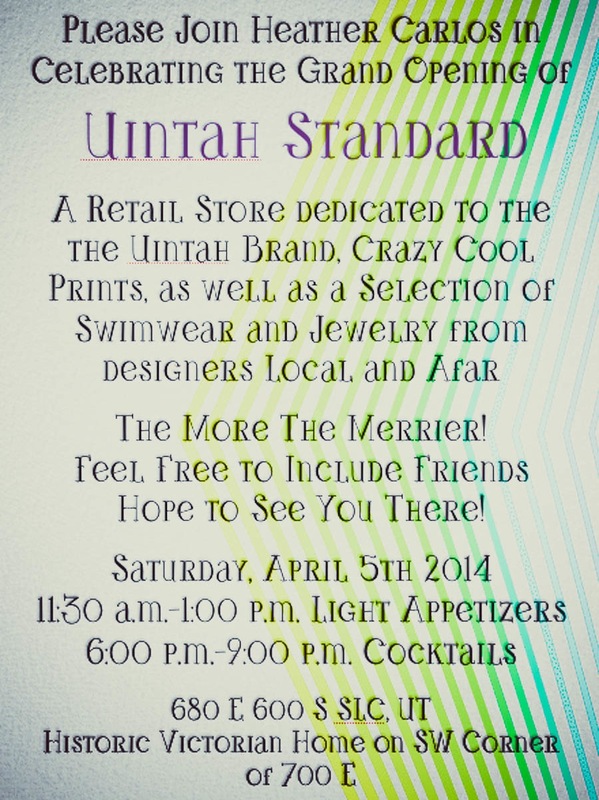 The Uintah line is usually only to be found at Saks, Shopbop and Free People [to name but a few], but she's opening the flagship store right here in SLC this Saturday. Stop by for a nibble, cocktail, and to slide into some amazing clothes and jewelry. 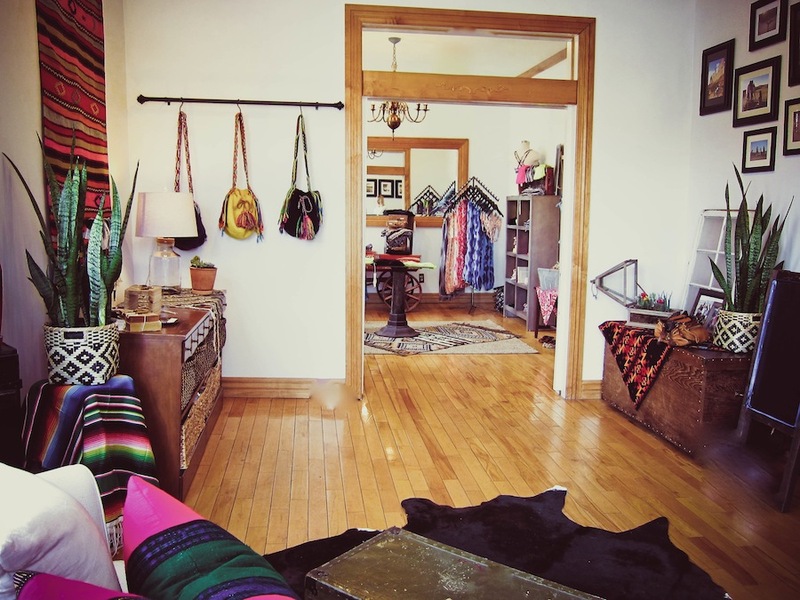 The store carries all the gorgeous prints and solids that have made Uintah a coveted brand amongst the yogi fashion set, but her lifestyle wear, and all-around incredible self styling are seen throughout the store with jewelry and swimsuit additions. Much of the jewelry is stunning, reclaimed turquoise pieces from the Hopi Nation in Wyoming in what will be an ongoing partnership that gives back to the reservation. Stop by for a nibble, cocktail, and to slide into some amazing clothes and jewelry. Take a peek at a couple of preview shots below and check out the flyer below for more info. Then we'll see you there.